I stumbled upon CreativeChics on Etsy a few weeks ago, and instantly I was hooked. 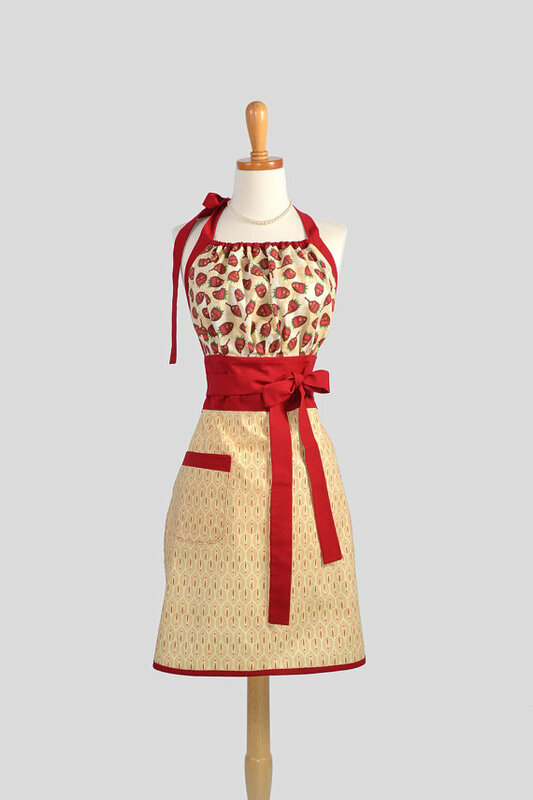 It's full of handmade vintage inspired aprons (just up my street), and by full, I mean FULL. It was so difficult to choose just one - but here it is! I think the gathered neckline is really unusual and pretty, plus the wide waist is flattering too! And everyone knows it's important to look and feel good when you're about to stuff your face full of homecooked treats! Plus the strawberries...who doesn't love strawberries! 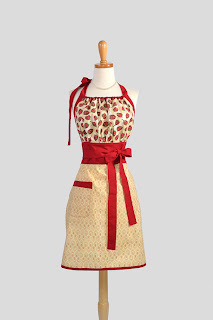 Thank you so much for the kind words...We love making aprons that make a lady feel like the "Queen of the House." You're very welcome! I'm so glad I found your Etsy page! Sunday Roast is over... Lets make soup!